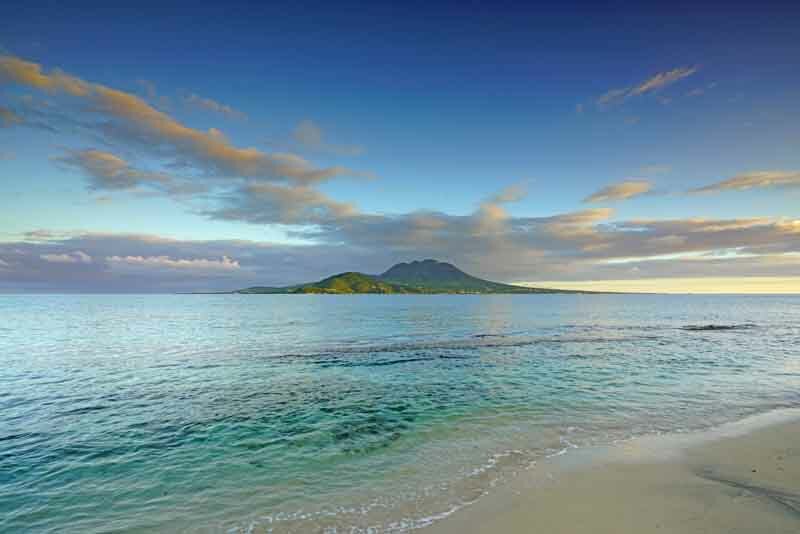 Seven Caribbean islands fall under French sovereignty, each with its own distinctive personality, style, and flair. Without question, one of the prime hotspots is the legendary island of Saint Barthélemy (St. Barths), a favorite among upscale clientele and Hollywood A-listers, promising everything from serenity and luxury to nightlife and boutique shopping. This volcanic island is home to more than 20 pristine white sand beaches, surrounded by verdant rolling hills and quaint coastal villages, and renowned for its quiet and scenic beauty, chic boutiques, and fabulous French-inspired cuisine. Just 25 miles northwest of St. Barths is the energetic island of St. Martin, where superyacht marinas abound and adventure awaits. The north side of the island is the French half, and as such, features open air markets, characteristic French bakeries, and charming waterfront cafés. For a more peaceful sojourn, make a stop at Orient Bay, one of the most exceptional beaches in the Caribbean, or explore the 12-square-mile National Nature Reserve. Whatever your desire, this suggested French Caribbean itinerary is sure to please. As St. Barths’ capital and main port, Gustavia offers high-end shopping, world-class dining, and quaint cafés that line the superyacht-filled harbor. But there are also dozens of stunning, shimmery beaches, so make sure you save time to experience the island’s natural beauty. Enjoy fine dining at Eden Rock or Bonito for a delightful culinary experience. On the windward side of the island, anchor on the wide bay at St. Jean, protected by a reef and an ideal place for windsurfing, paddle boarding, or kite surfing. Only accessible by boat or on foot, this small, secluded beach is blissfully sandy and its waters are calm and transparent, perfect for snorkeling and diving. Enjoy a gourmet picnic prepared by your chef, and then hike to Anse des Flamands, where panoramic ocean views over both sides of the island will take your breath away. Stroll the golden coastline of Flamands Beach before returning to Colombier and the respite of your yacht. 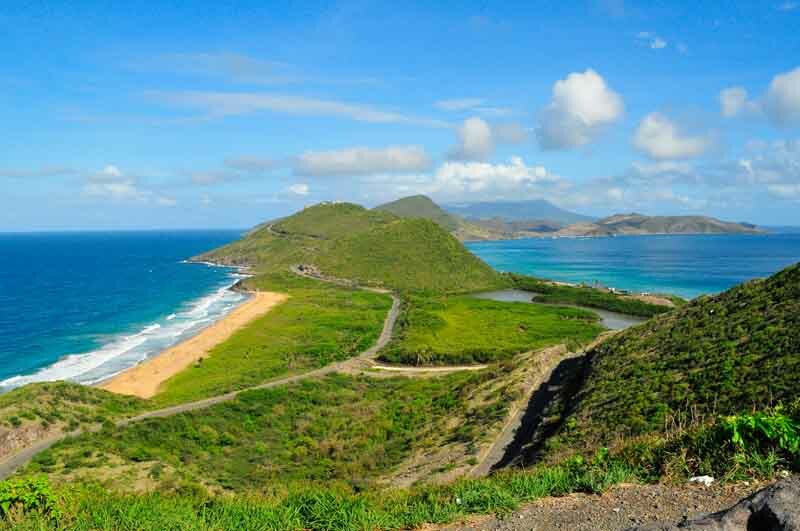 For adventure-seekers and outdoor enthusiasts, St. Kitts is a dream destination. Hike up to Mount Liamuiga’s mile-wide crater, tour the historic Brinmstone Fortress, go horseback riding on a black sand beach, or dive with a kaleidoscope of marine life among some of the most pristine reefs and wrecks in the Caribbean. Head inland to indulge in a luxurious spa treatment at the Emerald Mist Spa, take in a round at the exclusive Royal St. Kitts Golf Club with its 18-hole championship course, or try your luck at the casino in St. Kitts Marriott Resort. 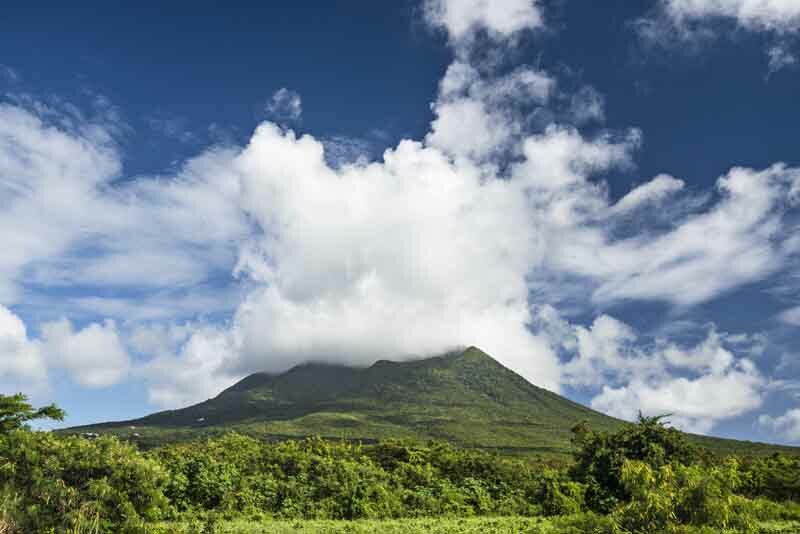 A quick jaunt brings you to Nevis, where old-world style is everywhere you look. This Caribbean spot is known for its breezy, tranquil surroundings, and offers excellent windsurfing, fishing and kayaking. 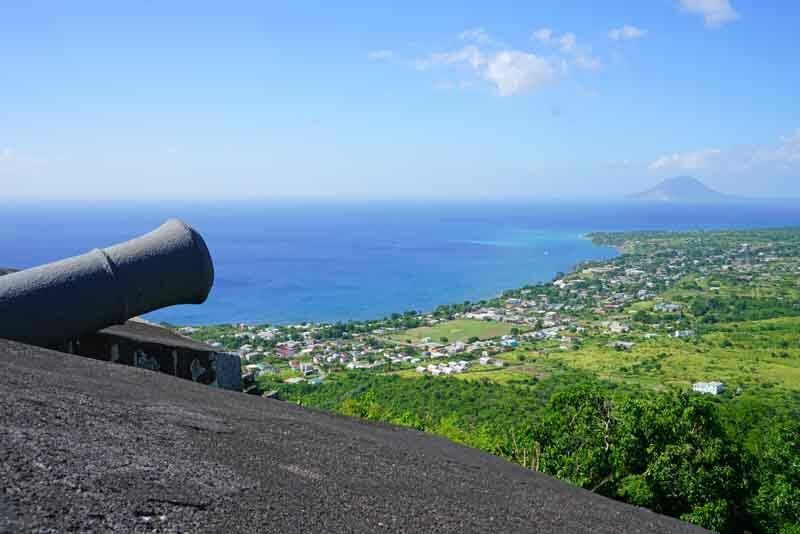 From volcano hikes and scuba diving, to a round of golf at the premier Four Seasons Resort Nevis, your visit will be filled with a style and spirit that’s vintage Caribbean. 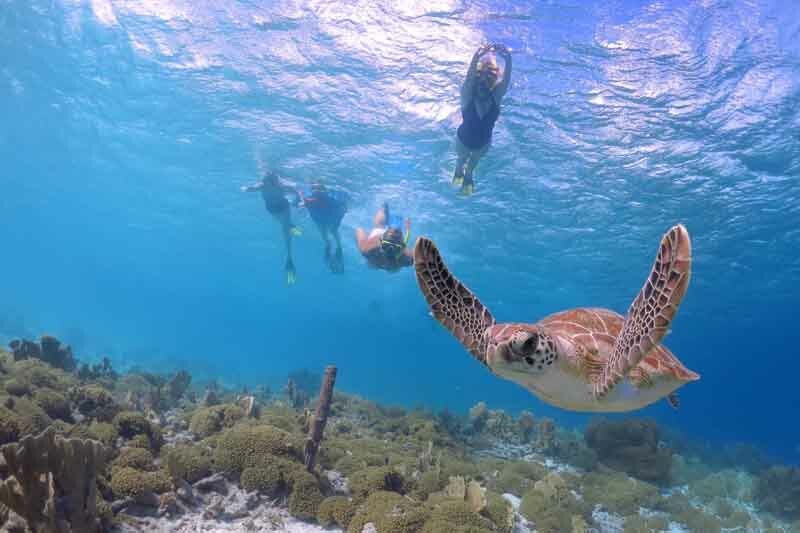 The protected waters off of the tiny jewel-island of Statia offer world-class diving with vibrant reefs, varied marine life, and crystalline waters. On land, you’ll find guided hikes to the Quill, and extinct volcano that’s a popular tourist attraction. As you cruise back to St. Martin, dream of spending your last few hours there enjoying the thrill of watersports, such as sailing, snorkeling, waterskiing, or windsurfing. Or for more leisurely option, spend a few more hours relaxing on one of the island’s spectacular beaches for the perfect ending to your Caribbean holiday. CLIMATE: The French Caribbean tends to be warm all year round with temperatures no lower than 70°F(21°C) during the winter season and 72°F(22°C) during the summer season. It is warmest between April and November with highs of 91°F(33°C) and lows of 72°F(22)°C. Visit the ABC Islands by luxury yacht. Visit the British Virgin Islands by luxury yacht. Visit Leeward Islands and Antigua by luxury yacht.